Everyone uses Google Translate including me! However, sometimes the translations are awkward and/or questionable. That’s where a “second opinion” becomes necessary! For text-only translations, simply use the large box on the left. 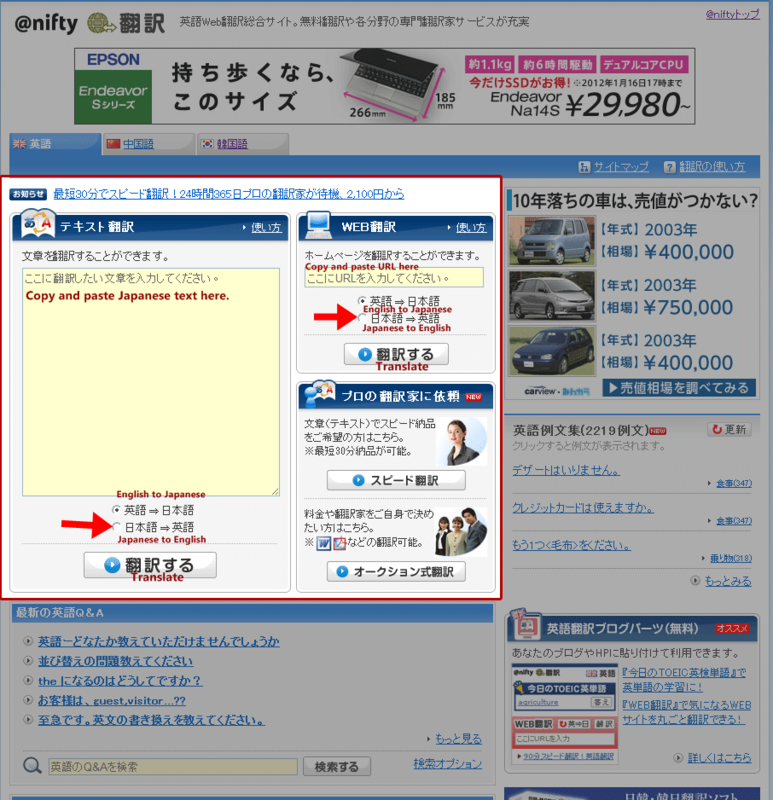 Select the second radio button (日本語 英語 or Japanese to English) and then click the button with 翻訳する (Translate) on it. For this example, I simply copied and pasted the text above the input box. The result will show the original Japanese text and the translated version. Original Japanese text and English translated version! This screen with the double boxes is actually the main translation page to work from since you can simply paste any text into the first box, hit 翻訳する (Translate) and get the English result. 😀 The button below the second box re-translates the text into the original language. Cool, huh? Like Google Translate, you can also translate entire Websites through URL. Refer back to the first image but on the right side with WEB翻訳 (Web Translate). 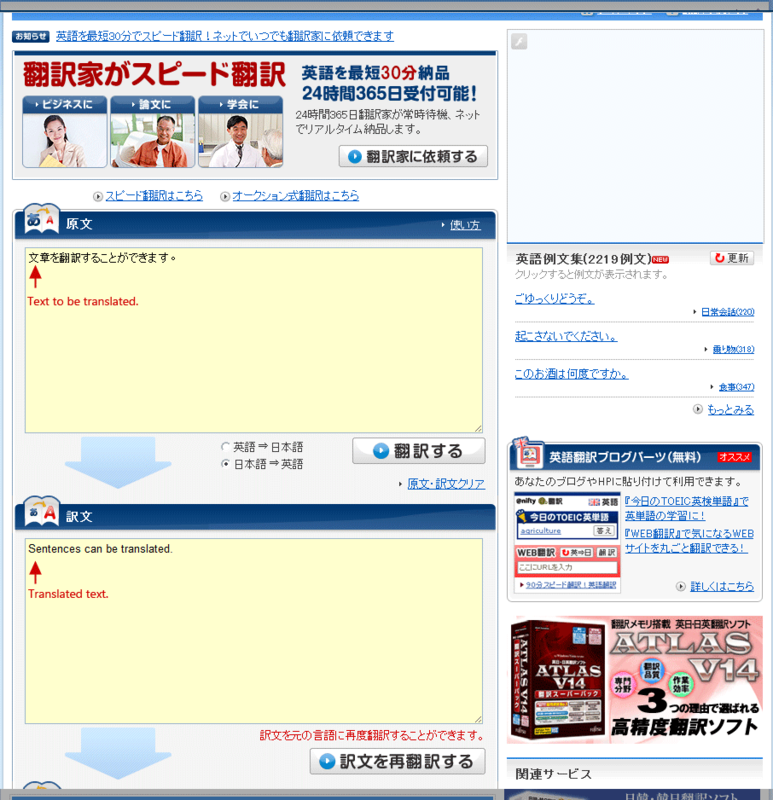 Paste the Web address there, select Japanese to English, and click Translate. What I adore about Nifty Translate is that it retains the Japanese text as well. This is extremely useful for people that can read a tad of Japanese like me since a lot of times, having the original words as reference clarifies some oddities that come about from a machine translation. There are many instances, however, where neither Google Translate and Nifty can translate properly. 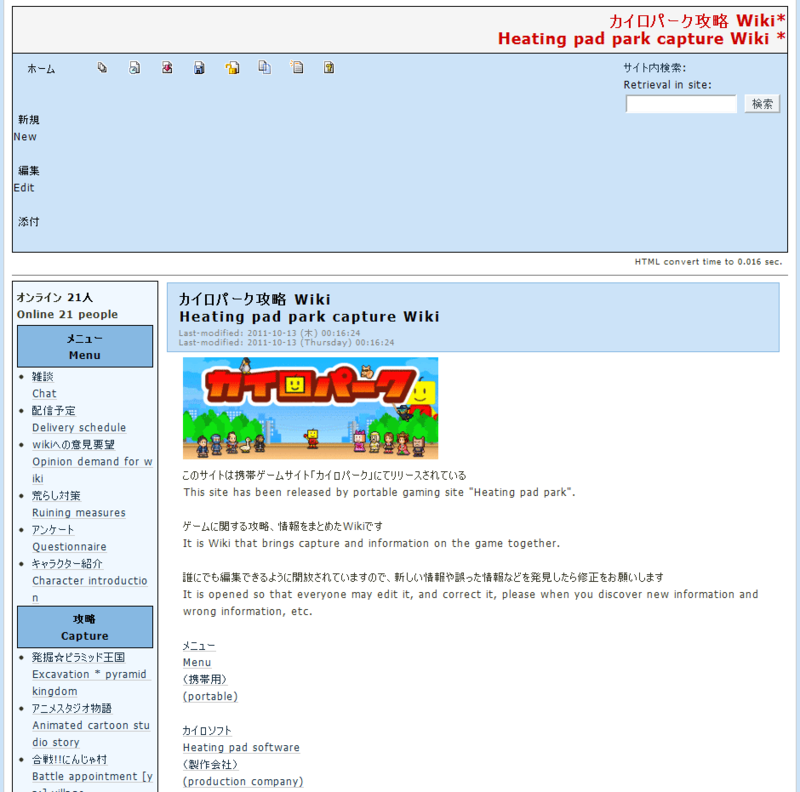 These problems usually come from informal and casual writing like on message boards or even the comments section at the Kairopark Walkthrough Wiki site. So until machines can understand the nuances and such of language, no machine translation site can replace a human translator.